It’s been under six months since Simone Biles, the greatest female gymnast of all-time, resumed training after taking more than a year off after winning four gold medals and a bronze at the Olympics, and judging from the footage that was just posted to USA Gymnastics’ Instagram account, Biles is picking up right where she left off in Rio. When Biles resumed training back in November, she did it with new coaches since Aimee Boorman, her longtime coach, had moved from Texas, where Biles’s family owns a massive gym, to take a job in Florida. Biles is now being trained by Laurent Landi and Cecile Canqueteau-Landi, the husband-and-wife coaching team who trained Biles’s 2016 Olympic teammate and uneven bars silver medalist Madison Kocian. The Landis, who were both gymnasts on the French national team during the ‘90s—Canqueteau-Landi competed at the 1996 Olympics—had spent most of the previous decade coaching at World Olympic Gymnastics Academy outside of Dallas before making the move to train Biles outside of Houston. “It is impossibly difficult to relive these experiences and it breaks my heart even more to think that as I work toward my goal of competing in Tokyo 2020, I will have to continually return to the same training facility where I was abused,” Biles wrote back in January. Within days of Biles writing this, USA Gymnastics announced it would no longer hold training camps at the Ranch. In lieu of the training camps, USA Gymnastics is holding sporadic verification camps to gauge gymnasts’ progress and hand out international assignments. The first of these new verification camps was held at the end of February at LSU’s practice facility and was streamed live on YouTube. The second of these verifications will be held this weekend at World Champions Centre, the gym owned by the Biles family. The results of this camp will finalize the team that will be sent to the upcoming Pacific Rim Championships. This is likely why we’re being treated to some Biles training footage. About a month after she resumed training, Biles said in an interview that she had all of her skills back, and the snippets posted in USA Gymnastics’ Insta story showed Biles performing some of the most difficult skills she competed in Rio—including the two-and-a-half twisting vault that helped her capture the vault gold at the Olympics—with no trouble. The only event not shown in these clips is floor, but if her vault looks this good, the other leg event is probably looking pretty good too. 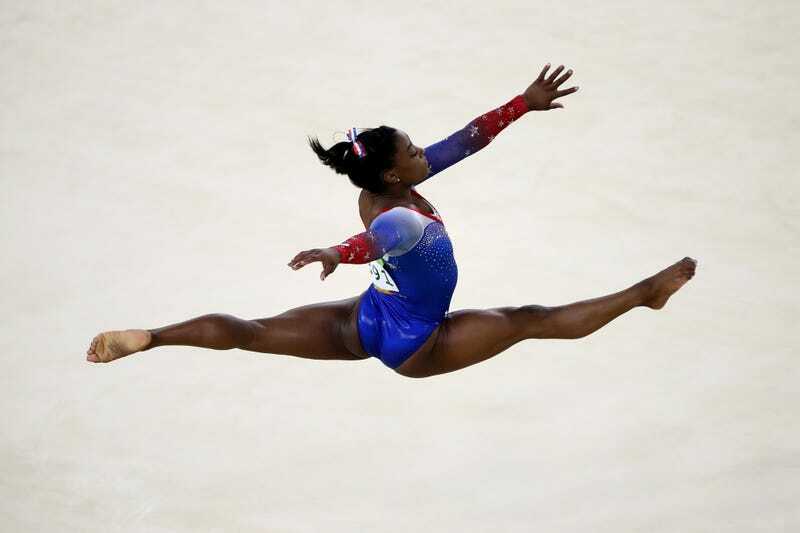 Biles is expected to make her return to competition at the U.S. Classic in July. Dvora Meyers is a staff writer at Deadspin.